You come up with the greatest post, I love these ideas! 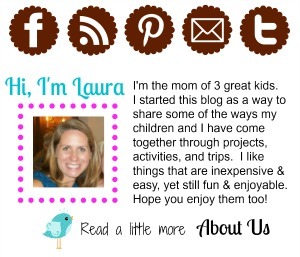 Love it, Laura! I added it to the Parent Watercooler on Pinterest. I've seen a couple of these, and I wanted to try them, but the opportunity never arose. You're definitely right, they're not just boy ideas. :) Some super fun things here. This is awesome. I have an 18 month old son. He will love to do these crafts and play with these toys. Great job! I can't wait till Cutter is old enough to do some of this! This is really cool! Thanks so much for sharing - I am definitely going to try and do all of these over the holidays! fun ideas! I know its always hard to find something in the crafty world for boys! 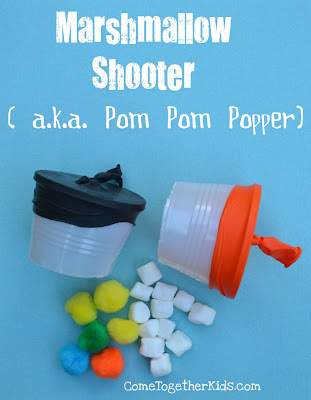 I especially love the marshmallow shooter! These are wonderful! JDaniel will love trying all of them. What a great site! Saw this posted in Pinterest! How ridiculous. Now there are separate boy and girl crafts? Well you could read the title...this is a top list for boys. If you didn't notice teacher mama boys and girls don't always enjoy the same things to the same degree. They even said at the end of the list that it would work for boys and girls this is just the list of her sons favorites. How ridiculous of you to post that. Makes you look like a idiot, really! What are you gong to be suprised at next...that boys and girls wear different underwear? Teacher Mama, not at all. 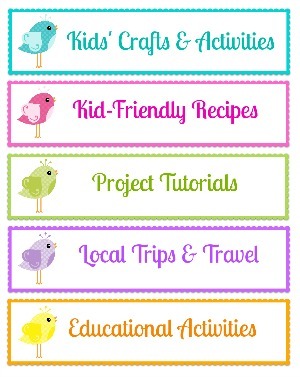 If you click on any of the activities above, you'll see that both my son AND my daughters participated in all of them. However, there are other crafts and activities that we have all done together that just didn't really appeal to my 8-year old. He either did them begrudgingly or did something else on his own instead. He and I came up with this list of "boy-approved" crafts for other families who may have struggled to find activities their boys would like. I'm with Teacher Mama. Perhaps crafts for the reluctant crafter? I fail to see how the child's gender plays into this at all. Furthermore, I have a non-gender conforming girl (aka tomboy) and I hate it when people try to restrict her likes and dislikes because of something she cannot change. oh, goodness. you ladies have too much time on your hands. My grand daughters, 3 and 4 and I made GAK last week and they LOVED it ! Wow... grumpy much? The post didn't say "boys only; no girls or tomboys allowed!" It just said these are some crafts that her son approved of and enjoyed doing. If you have a tomboy (I was one myself) then I would think you'd appreciate some out-of-the-box crafty ideas that your girl might enjoy! As a crafty soon-to-be-mom of a little boy, I am excited to see that there are indeed some good crafty ideas out there to share with my son if he ends up not enjoying stamping, scrapbooking, sewing, and knitting with his mama! I'm not sure how else to get across that these are crafts/activities that all three of my kids did (2 girls and one boy). However, in my house, at least, crafts/activities need to have a higher coolness level to get my son's stamp of approval (whereas my girls seem to like just about anything we do). 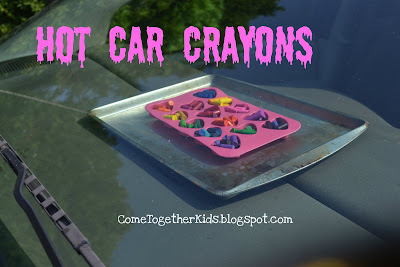 These are awesome ideas that both my kids (boy AND girl) will love. Thanks for sharing! I love these activities for boys! THanks for sharing. My question is what did you write on the candles with? 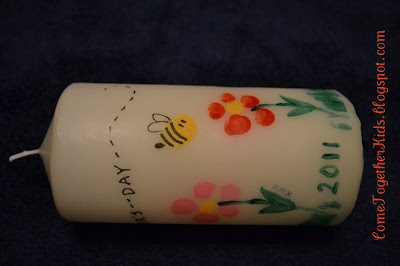 And their fingerprints for the flowers on the Mothers' Day candle? I'd love to do that as a grandma gift, too! Pay no attention to the people who want to dispute the gender thing...ridiculous! These are great crafts (and I only looked at them because they said "boy approved") Thanks so much for posting them. I also looked at these craft ideas because it said "boy approved". I get where you are coming from...I love doing craft projects with my kids. My girls love to do anything related to crafts/art. My son on the other hand, it has to be a pretty "cool" craft to get his attention. Thank you for some new ideas. I will be trying them out! 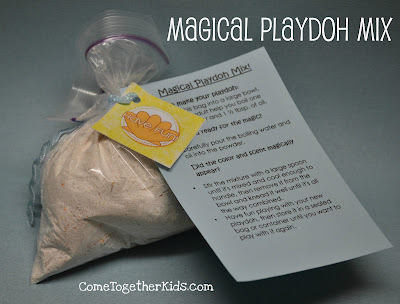 Thanks for posting some ideas that my sons might enjoy as much as my daughter. They can be tough to please! great ideas! i'm a preschool teacher and am always looking for fun new ideas. i was hoping that there would be instructions for these activities, but when i clicked on them, all that came up was a closer view of the photo. are there directions somewhere? if so, i'd LOVE to see them. thanks so much! Awesome list. My son will love the marshmallow shooter. I totally love that these are crafts for boys. That's why I looked at them. I have two girls and three boys. I make a lot of hair bows and paint fingernails with my girls, but don't have any good ideas for what to do with my boys that they would enjoy. Thanks for sharing. Yes, ignore the people who can't understand that no one said these were boy ONLY crafts or that boys can't make "girly" craft, it's just some don't want to. So my boys and girls ;) will be trying these this summer! Thanks again! Thanks for the great ideas! I have a son who is almost 5 years old and have been looking for fun craft ideas for us to do while the other 2 kids nap during the day. Your post may have just saved me from going crazy! Love this! Can't wait to do these with my son! As a mom of 4 boys, thank you! Bahumbug to the people who didn't like it was for boys? So keep your comment to yourself. This kind mom of 3 obviously learned somehow that her boy wasn't enjoying what her girls were, found somethings TOGETHER that he liked, then posted the helpful hints and finds for ALL. I'm glad you took time with your son to enjoy these activities and took time to post it, if not for anyone else, but me. Thank you so much!!! I'm in agreement that some posters just need to relax. Not everything has to be politically correct. Iras and somewhat still am a tomboy. I like to do thongs that would commonly be refered to as boy things. I still like snakes, motorcycle riding etc. I looked at this site because it said boy crafts. I have nephews that really didn't like making paperdolls ( even male dolls) or flowers. I have girls, and I was thinking mostly of Gorky type crafts. My nephews wanted something else, now I have it and my girls do to. Thank you for posting the BOY craft page. Relax people! I love that I sparked so many comments.. good for the site, no? I wasn't trying to hurt anyone's feelings, just tried to state that I didn't get much from the "boy-friendly" title.. I'm not a grumpy-pants ladies, just being honest.. Apparentley honesty doesn't work online.. I'm a camp counselor and than you so much for these ideas! I've worked with Girl's camp so much, I had a little trouble now that I've switched to boys and girls. These are great! Can't wait to use them! great blog! but i agree w the one who said they didn't get much from the boy-friendly thing..both boys and girls can do this stuff, but boys won't sit still for it. at least my boys won't. great blogger idea, but not very practical. they want to play with mud and worms and just be silly boys! good ideas but save your breath girl.. thanks for the time and effort spent on the post, it's just not reality! No one said that girls wouldn't like these crafts. Most girls will do anything fun, but boys won't necessarily like the crafts girls will like. She simply said "Boy Approved", which meant "crafts boy will like TOO." I work in a job where the women try to make 'little girls' out of the boys. It is great to find crafts for boys to be boys. Thanks for the ideas. Thanks, very helpful! I spend time with an 8 yr old boy each week and it gets difficult to come up with new ideas! He likes to sit and do the crafts as long as they're unique and interesting, just like these! I have a hard time finding crafts that my son enjoys. Thank you and your son for compiling this fun list! I'm a nanny and SO glad that I came across this site! I am possibly the least crafty person you will ever meet, but all of these "boy crafts" are quite easy, and a big hit with boys I nanny! So far the marshmallow shooter and glow n the dark drinks have been the favorite, but they also loved the bubble maker and the "make your own lava lamp." Thanks so much! WOW! A very big thank you for making this list! My grandson and I will be working through this list. AND.....IF I had a granddaughter I would be doing it with her. You are amazing....keep coming up with these ideas!!! I'm so happy to see this list! My son likes participating in crafty projects but nothing much catches his attention. I'm sure this list will grab his attention - great idea! Thank yo SO MUCH for this post!! My son's birthday party was yesterday, and the day before I was totally freaking out about what activities we'd do. I have no talent for party planning at all and was completely at a loss. We ended up making your marshmallow shooters, and it was a HUGE hit. Thank you!!! Thanks so much, Jennifer. I'm glad the marshmallow shooters were a hit ~ aren't they fun? (I even did them at a family reunion and the "big boys" (uncles and grandfathers) had fun too. Thanks!! I have 3 boys...one is with me now and he's already exclaiming over the pictures. 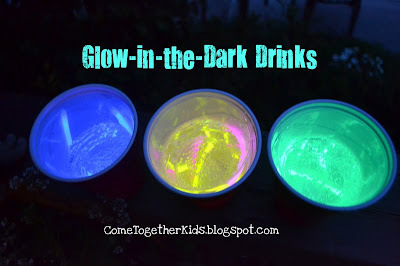 We are def gonna do the glow in the dark drinks. I like the GAK too. Thanks again for the ideas! love your ideas. I am going to try the marshmallow launchers. Perfect for my son's age! Not sure I like the idea that this is boy approved. I think girls might enjoy the activities too. So many great ideas here - thank you!! shared it on our community page on facebook! On the top of this page is a sexual banner ad. When I clicked the bubble snake link, another sexual ad was in the sidebar. Maybe you should look into that. I understand the desire to make money on one's blog, but the last thing I want or expect to see is mostly unclad women being sold in the ads of a blog about crafting with kids. Oh my goodness. Thanks for letting me know. I've never seen one of those ads on the blog (right now, I'm seeing one for Turbo Tax and one for Disney Visa.) I can't control the exact ads that are showing at any time, but I believe I had it configured so they are all family friendly categories. I will certainly look into it. I tried really hard...but ended up with three boys (who are now 20 yrs, 18 yrs, and 16 yrs)....My O.C.D. mom, who had three girls saw these three boys throwing mud at the back of my house one day (when they were very young), and said "The Lord knew what he was doing when he gave me girls." lol.....These are awesome ideas for boys....15 years ago, crafts were crafts and we enjoyed them, but little boys would love these ideas! Crafts are the perfect way to put a fun spin on an average day and make memories at the same time. Great ideas! My son is 11 and I am always trying to find things we can do together! Thanks for posting! Great ideas! My Sunday School class this year is 4 boys and 1 girl and they all love crafts.. Most of the crafts included in my teacher book don't appeal to me. So far they have loved the crafts done with duct tape (such as making a wallet) and para-cord survival bracelets. Thanks for some more great ideas. Honest diapers works great for my son. He's on size 3 now and we've been using expensive diapers ever since he was a newborn. I have never had a problem with them. We tried thinner diapers but they didn't work on him. I think it really just depends on each child. Anyway, Honest diapers are great. Free hacks, cheats and gift cards. For you. We are call service in Bangalore, if you want to join us so visit here-Independent Call Girls in Bangalore. Good work. All work for kids is very interesting. I like Fingerprint Candles I am also interested to do all these things. I think we can also choose this for our children. it is really creative. i loved craft works. 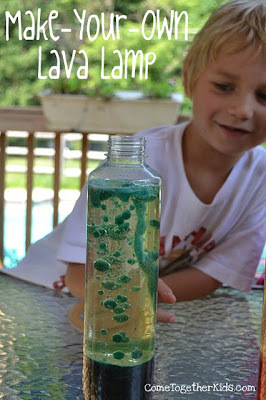 Can you please share the tips behind this Lava Lamp. I am interested in it. http://clashroyalehackdeutschvip.com/ Is The only place where you can get free gems! Clash Royale Free Gems Is The only place where you can get free gems! Is The only place where you can get free gems! All these activities are good that can make students able to buy dissertations online and save time to participate in different other activities. If students take guidance from essay writing services, they can become able to write best admission essays and get admission in top schools to enjoy such activities.